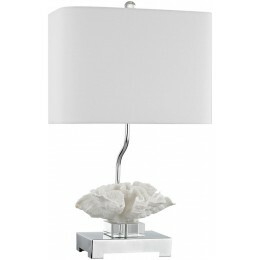 The Prince Edward island table lamp offers a sophisticated coalescence of square-cut crystal, chic polished nickel and a uniquely molded central aria inspired by the soft ruffled plumes of deep sea Coral. Updated coastal feel. 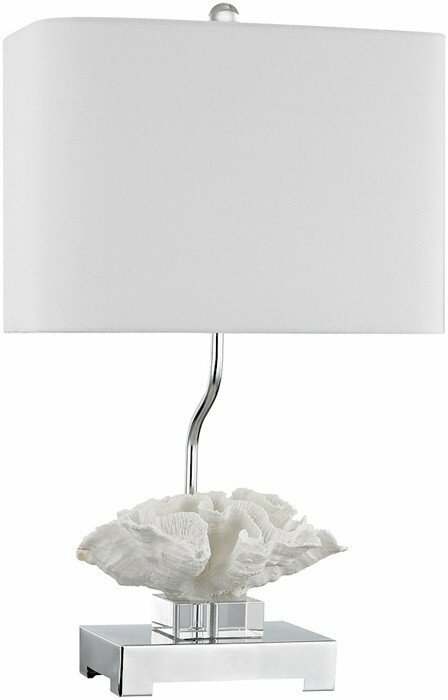 Pure white hardback linen shade.